Autumn’s here and there is treasure on the ground here in London. It’s encased in a tough, rounded and spikey jackets. Here it stays… growing, protected. Until the moment comes to open. 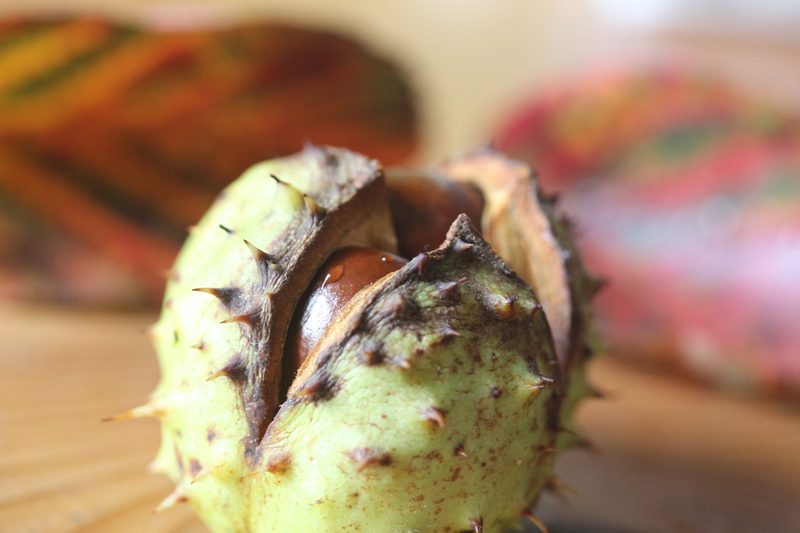 There is a magic to holding a freshly emerged conker. There is a slight give if you press one between your thumb and finger. If you drop them, they bounce. They are soft for a day or two before they dry (and become hard little grenades for children’s games). There is a soft velvety sheen on the white part. They are unbelievably shiny. 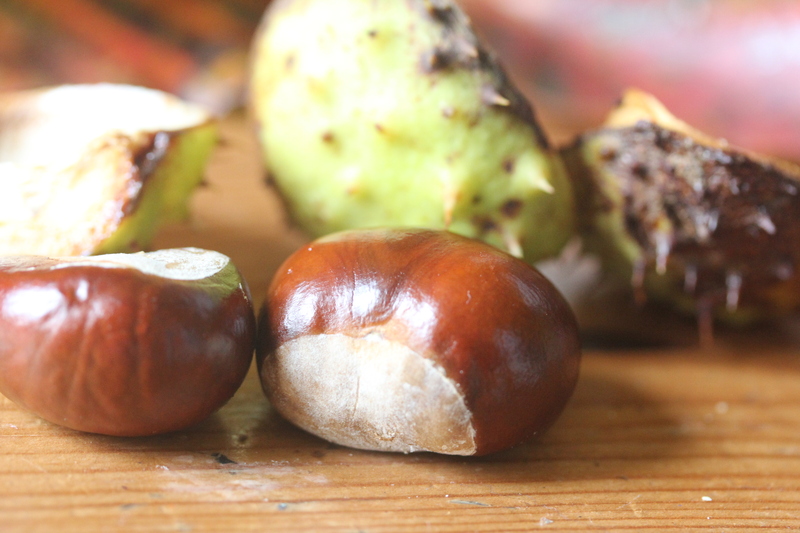 Conkers remind me of us. Usually coated in layers of protection. Judgements. Fears. Shallow breathing and shoulders which can creep protectively forward. A stream of thoughts about things I ought to know. The weight of traumatic memories and planning ahead. Keeping up with technology and devices. A sense of constriction. But occasionally we do open. We can’t make it happen, it just sort-of does. A shiny soft golden core showing itself. Our hearts start speaking. We feel curious. A tinge of vulnerability. An aura of strength and potential. To me, it seems that every day, countless messengers are sent to help us practice pausing and opening for a moment. The sound of birdsong when stepping out of the door. Light filtering through leaves when looking up into a tree. A child laughing in the playground when passing the local school. An old song on the radio. The comforting warmth on the hands before the first sip of a cup of tea. A long hug. In all of my work I do my best to help create supportive conditions for clients to loosen the spikey jackets, together, and invite openness. Even if just for a moment at a time. Breathing exercises help some people. As does creativity – singing or playing on big paper with pastels, crayons or collage-making tends to help people to connect the head with the body, heart and spirit. And encouraging people to gently surface and name the often-unspeakable power dynamics between them. It’s an atmosphere which blends the ‘a-ha!’ of answering a puzzle, with the ‘aah’ of a gentle sigh. In moments like these, space is created to let transformation in. It’s a softer space where listening, honesty and learning happen with more ease. Where we feel wobbly, yet can see with eyes that are fresh and clear. Where we can melt into the painful things with kindness and sprinkle gratitude upon what’s good. “When we drop fear, we can draw nearer to people, we can draw nearer to the earth, we can draw nearer to all the heavenly creatures that surround us.” – bell hooks. ← Fear and love after the London Bridge attacks.